If you’re dealing with a complex legal, tax, or immigration issue, you may not know what to do. These situations often bring confusion and stress, but the O Shambartas law firm in Cyprus can make the process easier. We serve businesses and private clients with their legal, tax and immigration matters, whether it’s a positive situation like setting up a corporate presence in Cyprus, or a negative one such as needing help with debt collection. Our years of experience and proven track record for providing our customers with efficient and concrete solutions make us a top law firm in Cyprus. We engage and support our customers with our intellectual agility, sharp business sense, and human touch. Regardless of whether you’re trying to enter a new market, guard your business position, or oversee multi-jurisdictional activities, we break legitimate ground allowing our customers to go further. 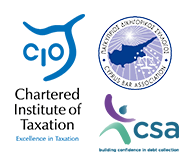 Our lawyers in Cyprus offer help in every area required for achievement in today’s competitive business world. From corporate and business law, to immigration and international tax law, we deal with the most complex issues as a solid and unified group. For us excellence is a way of being. How to get permanent residence in Cyprus? If you need immediate help Call us or use our Live Chat. All consultations are confidential.